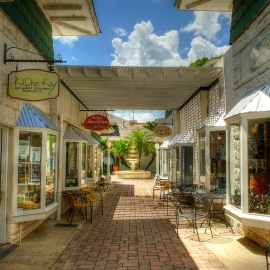 Just an hour from Orlando, Mount Dora is old Florida style living. You'll find lakes and quiet country inns and a downtown that has more than 20 restaurants within a three block area. You'll find plenty of shopping too. This small town is a favorite for antique enthusiasts. Shops in and around Mount Dora's downtown are bursting with nostalgic items, valuable antiques and collectibles, and estate jewelry. This charming city also boasts a variety of outdoor cafes, gourmet restaurants, galleries, and wineries.